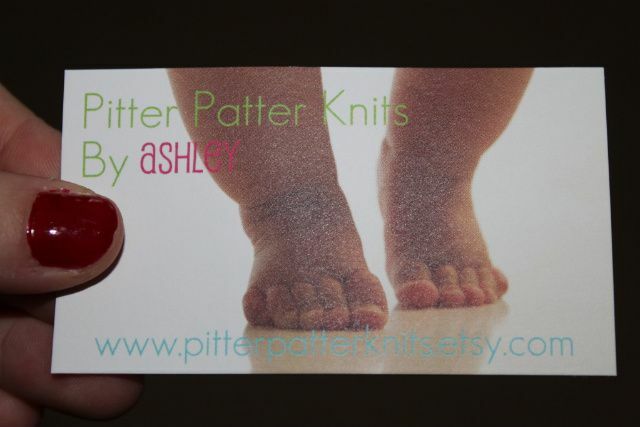 On my never ending search for hair pretties, I came across Pitter Patter Kints on Etsy. 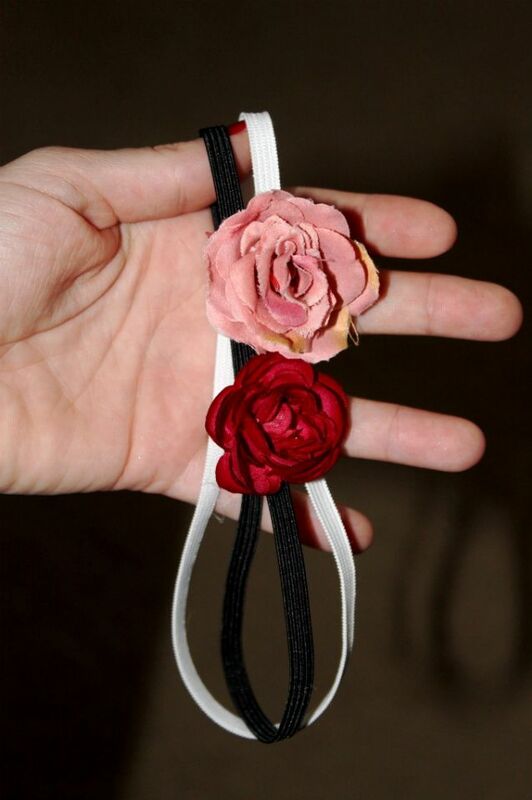 I immediately fell in love with these little headbands! The rosette is so small it doesn't overpower my little beans head! I also really like the thinner band around her head. I think she might be sold out of the pink one because it is no longer on her site (but there is yellow and white). 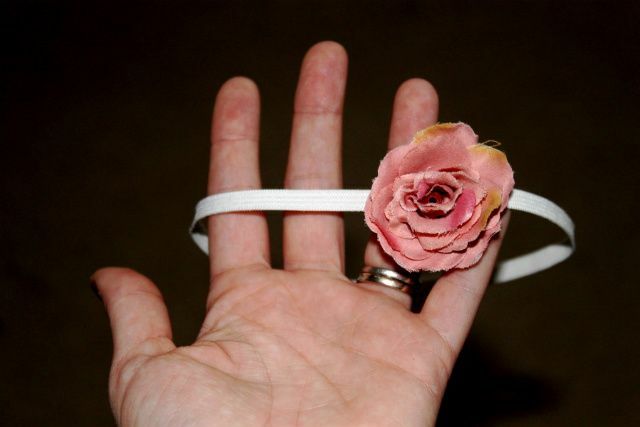 These are great for photo shoots or just for your little lady to be looking her best! ;) My bean is wearing her red one for Christmas with her fancy dress. I can't wait! So adorable! I love the pink band! 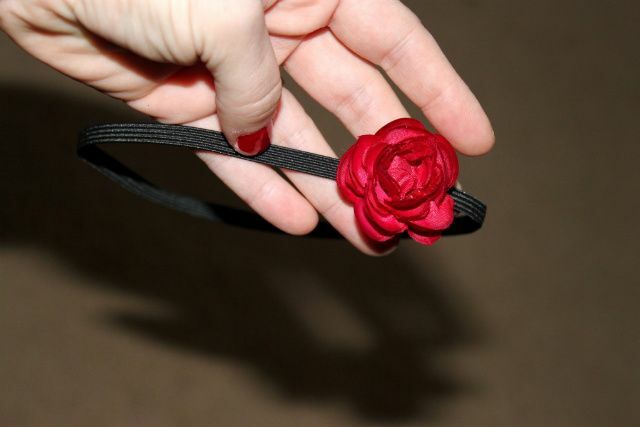 I lovelovelove hair accessories. They are so fun! These are ADORABLE!! I wish I had some babies in my life, I'd buy these all up! Thank you so much for stopping by! I'm now a follower of yours. Kind of obsessed with your blog template- pink stripes all the way! SO adorable! Loving the red!